The project consists of the development of Richard J. Daley College’s new Manufacturing Technology and Engineering Center (MTEC), the replacement of the college’s pedestrian bridge, and improvements to the site. The new 57,000-square-foot facility will support the College’s engineering and advanced manufacturing instruction, research, and innovation curriculum. The MTEC includes high-bay instructional space and classrooms as well as lab and support space for the engineering and advanced manufacturing program. This project is the first Pace Systems venture where Electrical, Data, CCTV, Fire Alarm, Audio Visual and Access Control Divisions are all represented in a new out of the ground facility. Pace Systems Project Engineers were involved in BIM (Building Information Modeling) coordination prior to ground breaking on this project to design the 3-D model that would eventually be used for installation of equipment for all MEP contractors. Multiple design hours were logged by the team to assure that any deviations from the drawings were noted and all items were placed in clash free locations. After engineering, Pace Systems was responsible for all electrical utility service, building power distribution, lighting control system, Fire Alarm installation, CCTV cameras, building access control, campus wide Audio Visual solutions and all network data connectivity. Wednesday January 16, 2019 marked the official opening of the MTEC with a ribbon cutting ceremony. Multiple divisions of Pace Systems worked together to provide a complete turnkey solution for all electrical, low voltage and special systems throughout the new building. 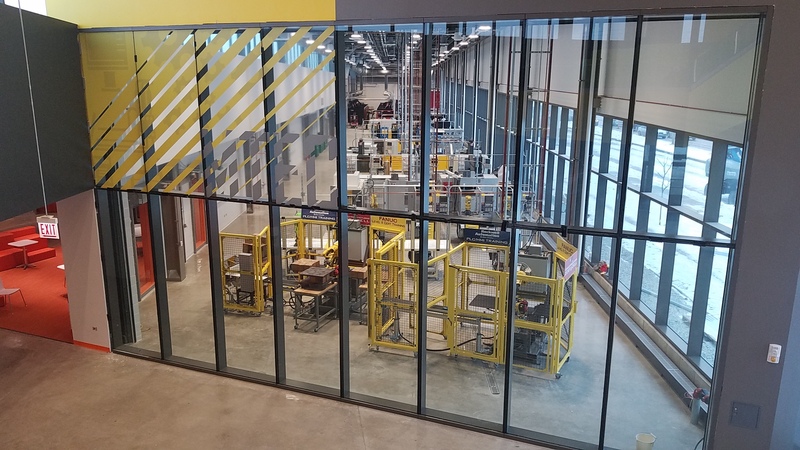 Pace Systems was fortunate to continue our long standing relationship with City College of Chicago by providing quality manpower for the design and construction of the new MTEC Facility from design and install stages to final completion.